Who doesn’t love breakfast with Jolly Old Saint Nick? 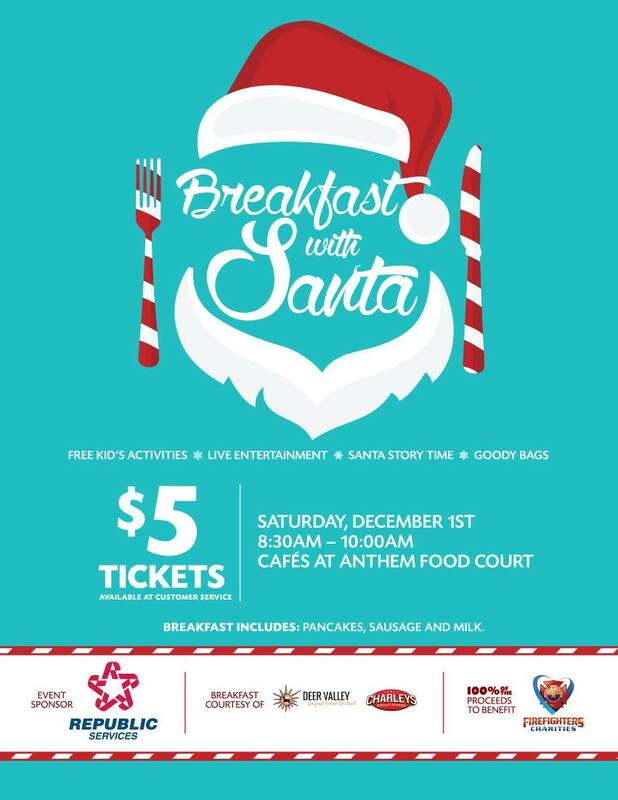 This annual event provides plenty of ho-ho-holiday fun at the Cafes at Anthem Food Court including free kid’s activities, live entertainment, Santa story time, goody bags and a pancake breakfast. Kick off the holiday season with us! Tickets are $5 each and 100% of the proceeds will benefit the Daisy Mountain Firefighters Charities. Tickets will be available at Customer Service starting November 1st. Tickets are limited so get yours early!